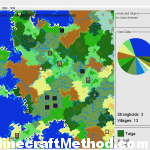 [showmyads] The seed is 2101543896876727983 copy and paste that into the minecraft seed generator and lets get playing. I did not find this seed myself, so thanks to the person who did, it is pretty rare to find 4 witch huts so close to one another. 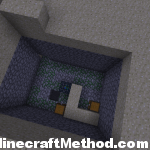 This seed spawns you in a swamp biome that also houses 4 witches hut in very close proximity to one another. Head out to around X: 9 Y: 89 Z: 480 and you will see what I am talking about. Also in that area is a massive ravine so lets check that out while we are here. 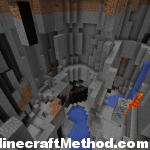 I do not really know how to describe it, it is basically a mashup of half a dozen ravines all in one spot. really cool with tons of exposed coal, and an exposed abandoned mineshaft. Exposed diamonds at: X: 48 Y: 12 Z: 365. If you are feeling adventurous I will tell you a few more coordinates of good stuff on this map…its a bit further to get to though. 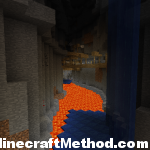 Head back to that desert biome near where we spawned. You can see the map of the layout in the images on this page. We need to go to the northern end of the desert where there is a temple. There is an exposed dungeon with a zombie spawner and the looting enchanted book in it at X: -321 Y: 64 Z: 39. 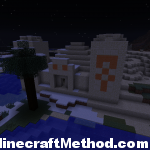 Desert temple is located at X: -262 Y: 71 Z: -199 and it is partially covered in snow. The chest contents are… disappointing. Not far from here is a stronghold and a village but I will leave those for you to explore on your own. Have fun. how do u find cords?